Burke Williams is pleased to announce three relaxing spa packages to pamper the ones you love this Valentine�s Day. Each exclusive package, �Romance,� �True Love,� and �For Two� offers a unique combination of soothing treatments and services to create the perfect way to experience romance this holiday. Indulge in �Romance� with a Spa Pedicure and choice of a 50-minute Pure Relaxation massage with enhancement or a 50-minute Spa Style Facial with a peel or brightener starting at $149 ($180 value). Fall in �True Love� with the Spa Pedicure, a 50-minute Pure Relaxation massage with enhancement and a 50-minute Spa Style Facial with peel or brightener, all starting for just $249 ($310 value). Share in a day of relaxation �For Two� and enjoy a couple�s luxurious 80-minute Pure Relaxation massage with enhancements or Spa Style Facials with peels for an exclusive Valentine�s rate starting at $279 ($360 value). Valentine�s Day package specials are available beginning January 25 through February 14 and vary per spa location. Join us at a Burke Williams spa location near you or online at www.burkewilliamsspa.com for gift cards and reservations by location. 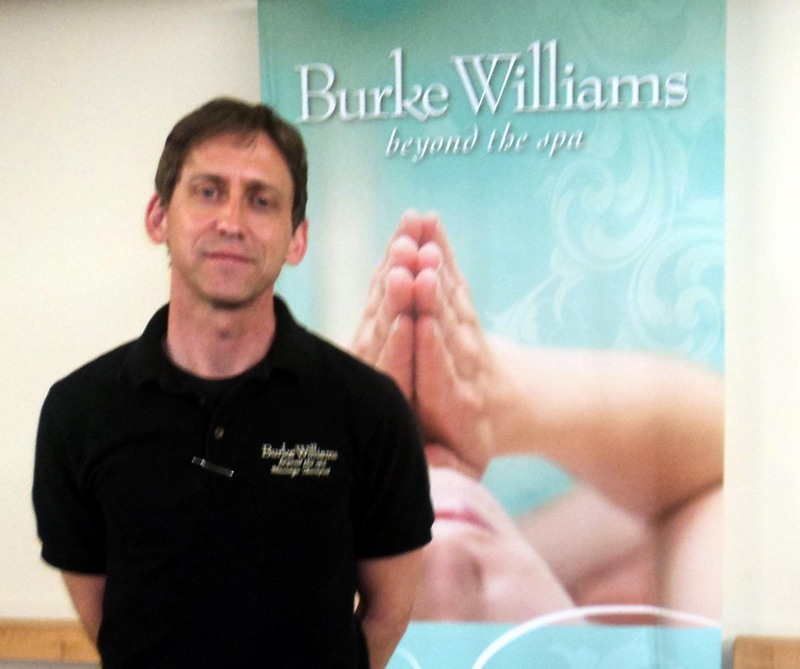 Let Burke Williams take your love into the spa and beyond this Valentine�s Day. 2013 Valentine�s Day Packages Offered at Burke Williams Orange, Torrance, Santa Monica, San Jose, Pasadena and Sherman Oaks Romance: Just $149 (regular price $180) Enjoy a Spa Pedicure with your choice of a 50-minute Pure Relaxation massage with enhancement -or- a 50-minute Spa Style Facial with peel or brightener. True Love: Just $249 (regular price $310) Indulge in a Spa Pedicure with a 50-minute Pure Relaxation massage with enhancement -and- a 50-minute Spa Style Facial with peel or brightener. For Two: Just $279 (regular price $360) Each of you will enjoy a luxurious 80-minute Pure Relaxation massage with enhancements or Spa Style Facials with peels. Offered at Burke Williams, San Francisco Romance: Just $159 (regular price $205) Enjoy a Spa Pedicure with your choice of a 50-minute Pure Relaxation massage with enhancement -or- a 50-minute Spa Style Facial with peel. True Love: Just $259 (regular price $340) Indulge in a Spa Pedicure with a 50-minute Pure Relaxation massage with enhancement -and- a 50-minute Spa Style Facial with peel. For Two: Just $299 (regular price $400) Each of you will enjoy a luxurious 80-minute Pure Relaxation massage with enhancement or Spa Style Facial with peel. Offered at Burke Williams, Mission Viejo and West Hollywood Romance: Just $159 (regular price $205) Enjoy a 25-minute Salt or Sugar Glo with your choice of a 50-minute Pure Relaxation massage with enhancement -or- a 50-minute Spa Style Facial with peel or brightener. True Love: Just $259 (regular price $335) Indulge in a 25-minute Salt or Sugar Glo with a 50-minute Pure Relaxation massage with enhancement -and- a 50-minute Spa Style Facial with peel or brightener. For Two: Just $279 (regular price $360) Each of you will enjoy a luxurious 80-minute Pure Relaxation massage with enhancement or Spa Style Facial with peel or brightener.